Sunday is always a hectic day for me, and yesterday encompassed helping Glen with his dissertation; he interviewed me about getting jobs in the broadcasting industry after university. 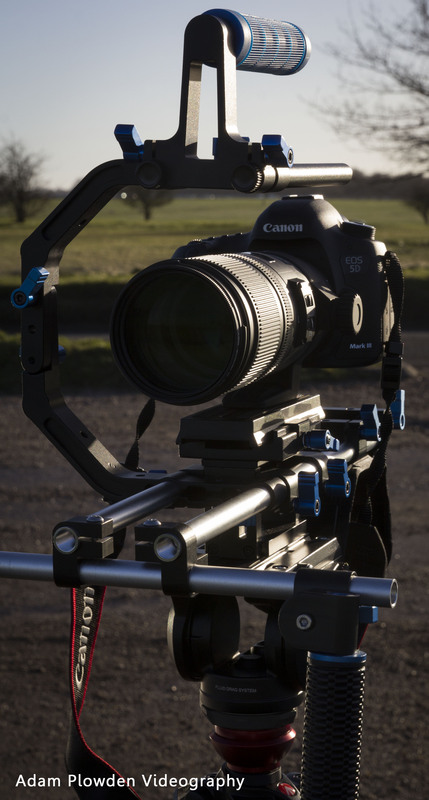 He filmed it on the 5DmkIII, Samyang 85mm T1.5 Cine, Lilliput field monitor, Zoom H6 & Sennheiser ENG-100, Manfrotto 055CX and my new MODA RIG – in studio production mode. 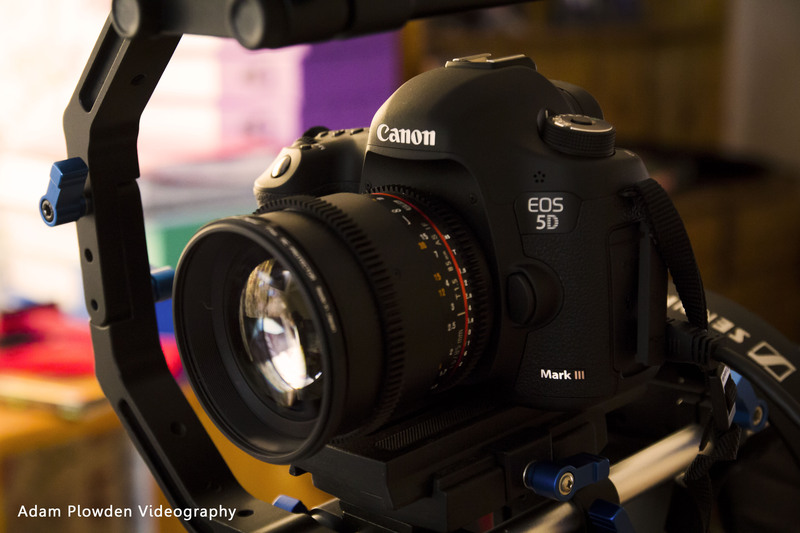 Getting more impressed by the 5DmkIII every minute! I’m flying through the behind the scenes edit of CJ’s Booty Camp for SWPP conference, and getting blown away by the sharpness and quality of the image of the mkIII. Continuing on my post from earlier, I am used to shooting on the 60D so nearly every new shot I look at taken on the mkIII is wowing me every time. Check out this quick screenshot, footage is without any colour correction just to show how impressed I am! Both these shots were taken with the Sigma 70-200mm F/2.8 HSM OS APO. What I’m editing today – Booty Camp BTS for the Society of Wedding and Portrait Photographers! 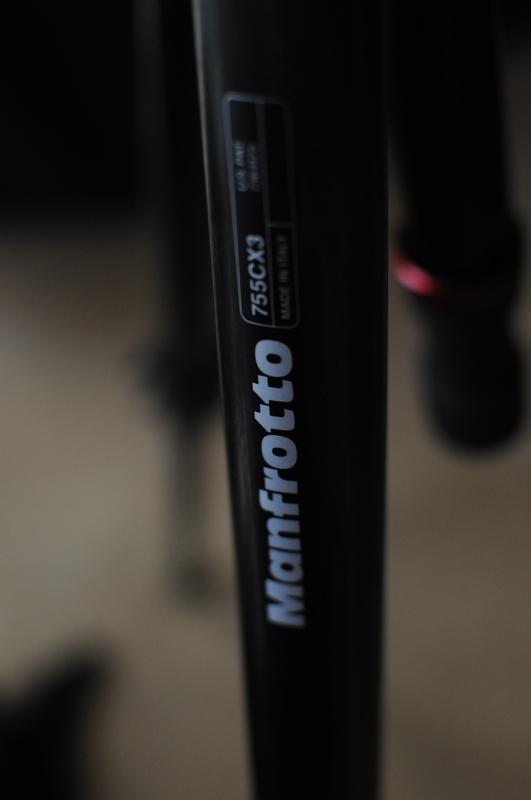 I have the pleasure of working with the footage I shot down in Falmouth last weekend with Bjorn Thomassen we are both sponsored by Manfrotto so we took the opportunity to film new products and features, as well as how to shoot video on a DSLR! 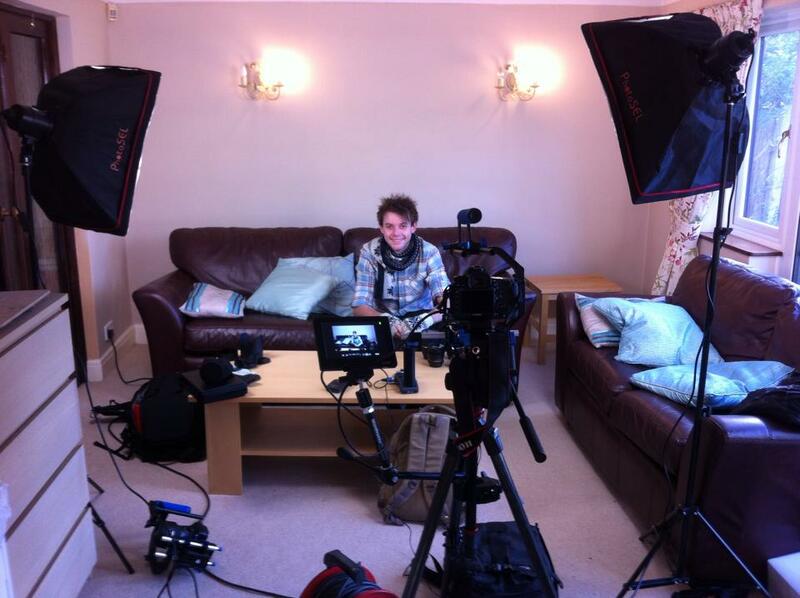 These videos will be available online, as well as on major suppliers websites. It will also be shown at The Society of Wedding and Portrait Photographers conference in Jan! I filmed the Behind The Scenes of the production, showing how photographic styles, techniques and equipment can be used to transist from photo into video with Canon cameras, Manfrotto grip gear and Elinchrom lights. This is my view for the day, not bad aye 😛 I do love my job! The results are incredible. After using my Canon 60D for the last two years, stepping up to the Canon 5DmkIII has dramatically improved the picture quality that I capture. Teamed up with Samyang (Rokinon) VDSLR cine lenses and you have an awesome camera setup for cinematic visuals. Yes, I captured the video in ALL-I compression (the lowest compression available), as Magic Lantern does not have a firmware upgrade for the new 5D 1.2.3 firmware 😦 I hope that comes out soon! 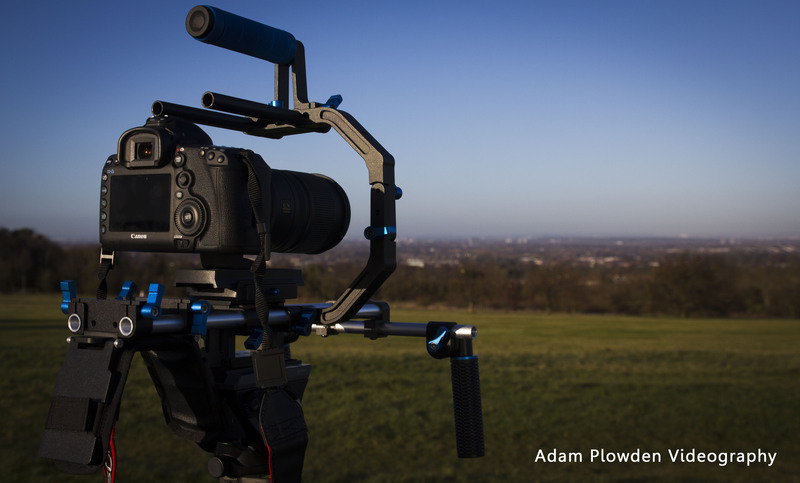 Awesome making of with the MOVI stabilizer rig! There’s nothing better than seeing your colleagues do something that pushes the boundaries and makes you jealous. Director / Producer Mike Staniforth (Apisode) and Leighton Cox (LoveAlwaysWins) have teamed up with the awesome talents from Papertwin, demonstrating what the hottest gear in the industry right now (Iron Bird and Movi) can do to tart up the old ‘xmas card video.’ The results, throw in a pair of freerunners in Santa and Elf costumes – and you got yourself some epic looking footage. Never mind the naughty list… the these guys should be on everyone’s list to work with in 2014… Brilliant work guys 🙂 And Merry Christmas! It has been a succession of long days over the last couple of weeks.. After filming the John Sinclair ‘Mohawk’ documentary, I’ve been working and editing furiously to get it out the way for Christmas and to have enough time to play with my new toys (which I am going to get tomorrow from Park Cameras). It has been exhausting, but thank you very much John Harris (John Harris Wedding Films) for your awesome help in the work around! I usually edit in Premiere Pro, however after numerous problems with playback and rendering on my workstation I moved over to one of Johns editing suites. Still having problems, we attempted to export the XML file from Premiere to FCP, so see if the problem would remedy itself, however it did not. The next day, John had synced the footage to the main audio recording using Red Giants Pluraleyes (GENIUS software), and imported the multi-cam to FCP, so I began editing in there. What a difference. I was unaccustomed to the interface, functions, workaround in FCP, so getting stumped happened occasionally. 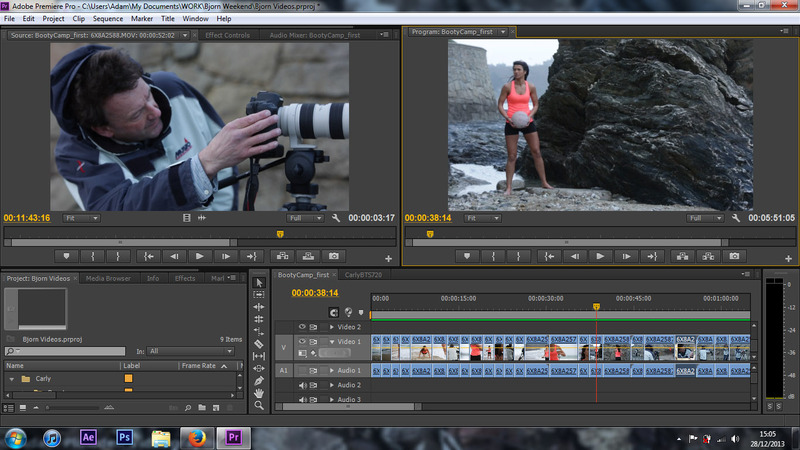 Safe to stay working in FCP did not put me off Premiere, in fact it made me appreciate it more! Anyway, the video is finally finished thanks to the wonderful John Harris, ready for viewing and comments from Steve Fly, the commissioner of the video. I am now in Devon filming for the weekend, more about that in the next blog post! I’ve been busy over the last couple of days, working on both John Sinclair videos, as well as the arrival of the professional camera rig I designed. It is still a prototype so some changes will be made, but so far it is a great fabrication of my design I proposed 18 months ago!! 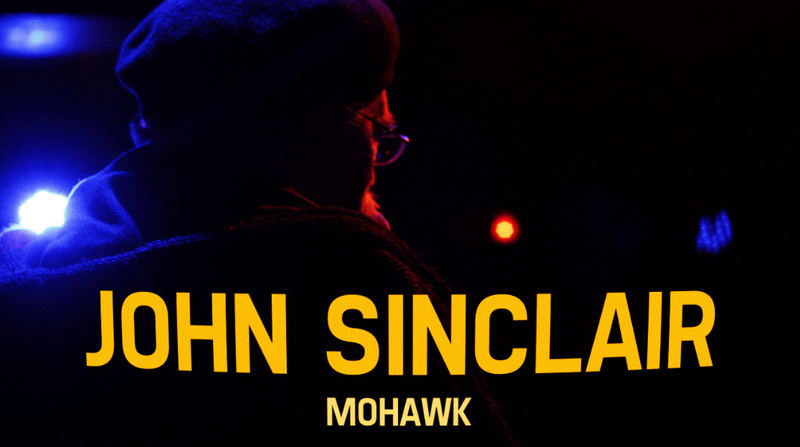 I’ve since been working on the John Sinclair documentary, which I’ve titled ‘Behind The Smoke’ in Adobe Premiere, which has been going very smoothly. I’ve also finished the title sequence using footage from the Amsterdam gig rehearsal, as well as using outstanding quotes from John, it is accompanied by the track Mohawk of his new album with Steve Fly. I used the layers blending modes to merge the layers together, as well as distorting the text (in a bold font like the 70’s John Sinclair posters) and animating them in a style that conveys the subject. I will post the video up later!